It’s beautifully written — of course, it’s Le Guin — and though Sutty as a character is a bit passive at times, when you know what you’re in for there’s a lot of beauty in Le Guin’s work, in the quiet spaces around her words (“to hear, one must be silent”, after all) that let the imagination breathe. 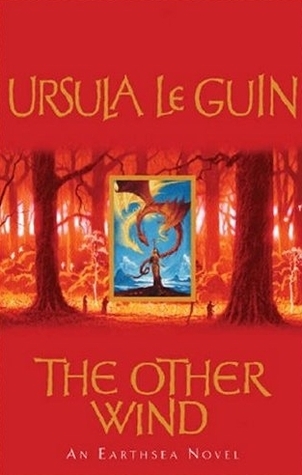 I read this shortly after Ursula Le Guin’s death was announced, and it was a comfort: “Only in silence the word, only in dark the light, only in dying life.” There are aspects of Le Guin’s world that it takes The Other Wind to truly make satisfying and comforting, but all the same, it’s always a relief to come to Earthsea. It’s beautifully written, and though the women are absent (fixed or at least commented on in later Earthsea books) and one could wish for more dragons, it still works. I don’t think there’s more I can say, beyond noting that the book saved my life. This collection of short stories are all linked by a single idea: when we’re waiting in an airport, we can just slip away to another dimension, or ‘plane’. If you haven’t heard of this phenomenon, I do recommend Ursula Le Guin’s travel memoir — a little out of date now, perhaps, but certainly a good introduction to some of the planes that are out there. Her choice of stories might seem pointed at times — there’s an inherent criticism of all things commercialised in her discussions of the Holiday Plane, for example — but the locals she speaks to and the stories she reveals are fascinating nonetheless. I don’t think I’d want to visit all of these planes, but the Library of Mahigul sounds fascinating, and I’d love to take a DNA sequencer to Islac and try to puzzle out quite how they got their genomes into such a mess. Of course, there are many other planes out there that Le Guin did not cover, and doubtless there are fascinating stories she could have told and never had time to tell, or never wanted to tell. I’m sure there’s a fair share of utter tragedy and horror out there — but also beauty, and Le Guin finds that even in some of the sadder places. A recommended read — especially if you’re going to be flying soon. I don’t love Ursula Le Guin’s non-fiction as much as her fiction, but at least it’s always a pleasure to read. This book has a rather charming diary of a writer’s week when she attended a writing retreat, including some very nice observations of rabbits which chime well with what I know of my domestic buns. There’s also various essays on genre, and her other usual preoccupations. And then there’s her book reviews — I could wish there weren’t as many of Atwood’s work, who I don’t have much interest in, but it was interesting to see her thoughts on books and authors I know, and especially to see her glowing piece on Jo Walton’s Among Others. I still prefer her fiction — as she did herself — but I cherished reading this, too. Still Ghost Talkers… I’m being terrible at getting round to finishing that, partly because I feel emotional about it and partly because of course I’ve been reading a lot of Ursula Le Guin’s work instead of whatever I planned to be reading. By the time this is up, I’ll have finished I Am Morgan Le Fay, by Nancy Springer. I’m not quite sure what I think of it yet… I don’t think I’m a fan, but it’s not like I hate it either? It’s nice to see someone trying to be nuanced about Morgan Le Fay. All the time while I read this, a few weeks ago, I found myself wondering how much longer we’d have Ursula Le Guin. I wonder if the title, No Time to Spare, was intended to be so on the nose. It’s a wonderful collection, full of Le Guin’s personality: her thoughts on ageing, on genre, on books in general, and on her own work. And also her thoughts on her cat, Pard, and one rather mindful piece on the correct way to eat a boiled egg. It was a quiet moment when I needed one, and I hadn’t even known I needed it, and now there’s a finite amount of Le Guin’s work left in the world for me to find that feeling in again. Thank goodness for rereading and the fact that Le Guin’s work always merits it. I’m most of the way through Ghost Talkers, by Mary Robinette Kowal. I might need to take a liiiiittle break, though, because it’s totally heartbreaking and I don’t quite need that right now. Given, you know, the news about Ursula Le Guin dying. The last thing I finished was a reread of Alan Garner’s The Weirdstone of Brisingamen, I think. I’m still not a big fan, though it started off better than last time. I just don’t like the mashup of mythologies, though. They don’t fit together for me. Almost certainly something by Le Guin. I first read A Wizard of Earthsea when I was eleven, I think, or around that age. I loved it from the start. I didn’t love the later books as much then as I do now, because I had to grow up a little to understand them — sometimes I wonder if I’ll ever be grown up enough to understand everything Ursula Le Guin had to say to me. It’s one AM, and I heard two hours ago that she’s gone, and though I’m sad, all I can think about is the enormous gifts she gave the world, and one gift she gave me in particular. Not that she ever knew I existed, not that she was writing with me in mind… But nonetheless, it was a gift, and it saved my life. I don’t mean that it pulled me out of the way of an oncoming lorry or cured me from some terrible cancer or persuaded me to turn back from a clifftop. And it wasn’t given for free: it was hard, and I had to work at it, and still do. But she showed me how to get my life back, with the power and wisdom of her fiction. I was pretty sick. I was afraid of everything. I was afraid of dying, and I was afraid of living, and I was afraid of everything in between. I tried to run away from anything that scared me: I was scared of cancer, so I wouldn’t read anything where a character had cancer. I was scared of bugs, so I wouldn’t read anything with bugs in it, even sometimes quite throwaway references. I was scared to tears one winter hearing a line from Simon & Garfunkel: “Silence like a cancer grows…” And I didn’t want it to be me — I didn’t want to be afraid, I didn’t want to deal with it, I saw myself as something helpless, something being pursued. It was from outside me and nothing could keep it out. And I happened to pick up a book I loved, for comfort, and found a character who was scared just like me. A character who was running away from what scared him — running away from the fear itself, letting the fear drive him… until he came to his friend, his teacher, a man who knew how hard the lesson was but told him what he had to do. I haven’t always been able to follow Ogion’s advice. Sometimes I hesitate and draw back. But it’s entirely true: if you run from anxiety, it comes after you. If you won’t acknowledge that fear is a part of you that deserves to be recognised, it swallows you whole. If you turn and face it… Ged triumphs because he turns to the Shadow and names it with his own name, tells it that they are one and the same. My fear and I, we’re one and the same. It’s a part of me, and the more I deny it — the more I run from it — the stronger it grows. But like Ged, in turning to face it, I’ve found my strength. I don’t imagine that Le Guin was unafraid of death, but she acknowledged her fears and saw them clearly, and they had no dominion. 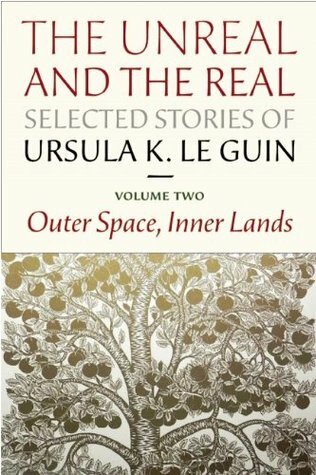 Outer Space, Inner Lands is the second of two volumes collecting together the best of Ursula Le Guin’s short fiction. It’s also the one containing all the SF work, or at least all the less realistic work, and it contains stories like ‘Those Who Walk Away from Omelas’, one of Ursula Le Guin’s most famous stories (at least among people I know) — though not my favourite, as I think the moral is obvious from the beginning. As always, Le Guin’s writing is clear and strong, and the stories chosen here span her career and showcase all kinds of different ideas and different phases of her work. I prefer it to the first volume, because I find Le Guin’s speculative fiction more accessible. She’s brilliant. Do yourself a favour. The Other Wind ends the Earthsea Cycle by resolving an issue which, for attentive readers, has been present since the very first book. Despite all the joys of wizardry and the great things the wizards can do, the world of death looms from the very first, and it doesn’t sound like a great place. In the second book, Tenar’s background reveals that her people believe their souls are reborn, but that wizards’ souls are not. In the third book, we see the world of death: a dead, dry, empty place, surrounded only by pain, where lovers can pass each other on the street and not recognise one another. That’s not a world we want to see Ged or Lebannen condemned to, and so The Other Wind is a fitting end in that it dismantles that — and brings in another female character who is Kargish, makes Lebannen examine some of his issues, makes Tehanu grow up, and ties in the thread of Irian from the novella ‘Dragonfly’. Other themes that’ve been a big part of the books previously (the role of women, for example) are still here, now integral to the world where perhaps they weren’t in time for A Wizard of Earthsea and Yarrow. It wasn’t my favourite of the series when I first read it — I think I have to concede I love the first two books most and always will, though Tehanu and The Other Wind are growing on me — but reading it this time, it seems like a very fitting ending point. I think I’m right in saying that Le Guin isn’t writing novels anymore, so it’s likely this really is Earthsea’s end, and it’s a good way to finish, with Ged and Tenar in their house and the dragons flying on the other wind.